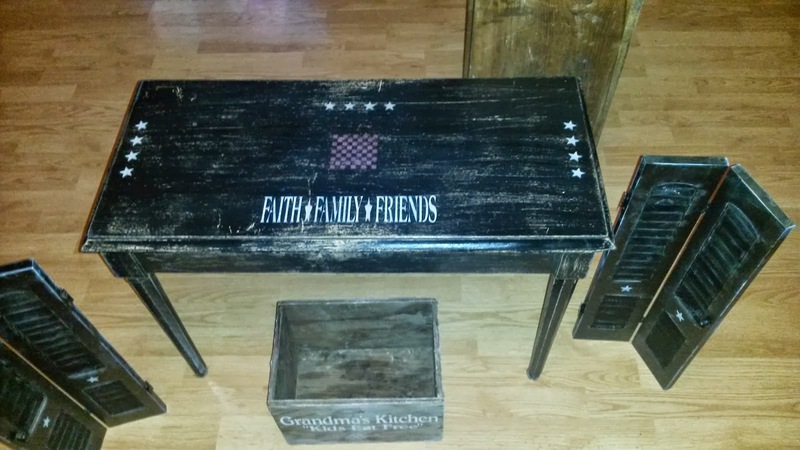 Here's the latest addition to my items for sale in my Booth #555 at the Peddlers Mall. 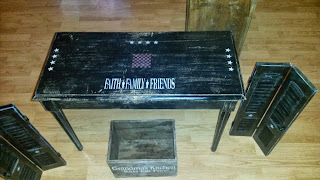 It's a piano bench that I redid into the primitive theme. 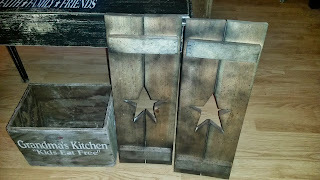 I first I tried to leave it in the off whiteish/light brown base with sage stars and red writing, and then I hated it! Next, I painted it all over again in the black and loved it. Especially after I took sand paper and scruffed up all the edges to make it a little worn looking. And here it is again, the second time I tried, lol. And definitely the best of the two. Don't forget to like my Booth #555 on Facebook for the latest items!